This season in art was our fifth and one of our most expansive yet – we welcomed artist/poet/character Jack Walls to Hudson in his exhibition “Paintings, Et. Cetera” – an incredibly talented man who has served as a source of inspiration for a generation of young artists including Ryan McGinley, Dan Colen, and the late Dash Snow. Dan Colen also joined us for this year’s Basilica SoundScape, when he spent a week in residence in our factory to create his Tar and Feather paintings to adorn the space. Also opening that weekend, curators Michael St. John, Javier Magri, Carol McCranie, and Tyler Moore presented a smart, reflexive group exhibition entitled The Now Forever. 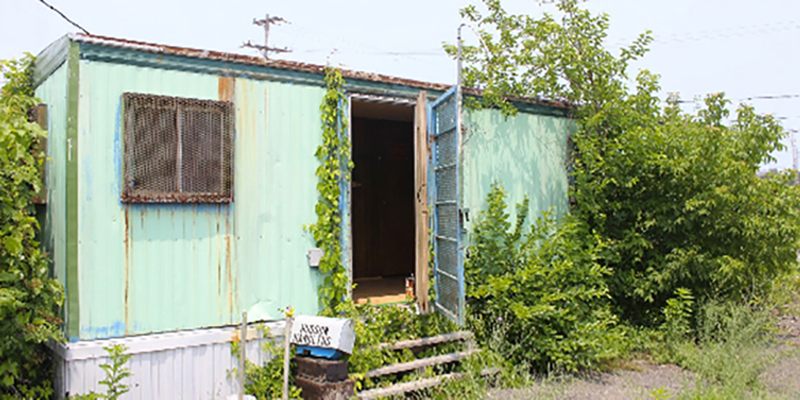 Curated by Daniel Peterson, Psychic Green Trailer was a site-specific installation by Bard MFA sculpture candidate Alan Danielson housed in our very own former Hudson Handling trailer. CATCH, the rough-and-ready performance series headed up the river to conquer Hudson and possibly America. And, we were proud to incubate the first iteration of HQTBD, an innovative roving art project that showcased the work of local artists. The legendary artist and writer Jack Walls had only recently made his home in Hudson when Basilica founders Melissa Auf der Maur and Tony Stone offered him a show, but they had known of his incredible oeuvre for years – ever since they met him in New York City in the 90’s. Jack unveiled his vibrant paintings and selected ephemera to an audience of art lovers, and also treated us to a reading of The Ebony Prick of the White Rose’s Thorn, a surreal lyrical prose piece accompanied with music by hARBOUR. Opening night also featured a screening of Isabel Hegner’s EYE TO EYE, a documentary film about Robert Mapplethorpe, Jack’s longtime partner and fellow artist, featuring his unique narration over many of Mapplethorpe’s most provocative images. Read more. For our all-out weekend of music and art, the renowned contemporary artist Dan Colen presented a suite of brand new, large-scale paintings from his Tar and Feather series. These agonizingly beautiful paintings, all of which were created on-site on the Basilica’s factory floors, evolved from Dan’s infamous “Hamster Nest” performances with Dash Snow in which the artists would book a hotel room, get intoxicated, tear up phone books and anything else that came to mind. We thank Dan for giving Basilica SoundScape its garment and for the feathers dancing among our rafters! Read more. Also opening in conjunction with Basilica SoundScape was The Now Forever curated by Michael St. John with Tyler Moore, Carol McCranie and Javier Magri. This group exhibition brought together thirteen inventive artists whose work looks towards the new and progresses into the future. It reflexively dialogued with the MoMA 2014 show, The Forever Now: Contemporary Painting in an Atemporal World which focused on an aura of timelessness that manifests itself in painting, where contemporaneity as an indicator of a new form is nowhere to be found, and all eras, styles, and genres coexist and mix. 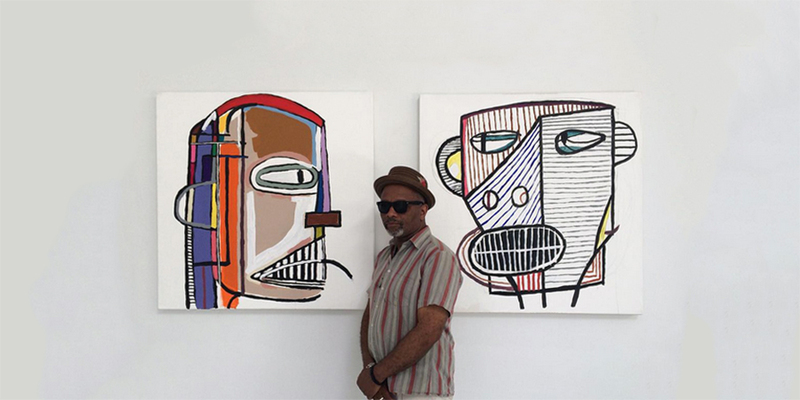 Says Michael St. John of his inspiration for the Basilica exhibition and in response to the MoMA works, “As an artist, the Now is more relevant as we are living now, experiencing now, and responding now.” Read more. Our co-founder, Tony Stone, had preserved this former Hudson Handling trailer that lies on Basilica’s property as a relic of Hudson’s industrial past. Bard MFA sculpture candidate Alan Danielson and Psychic Green Trailer curator Daniel Peterson noticed the trailer and appreciated its qualities – so proposals were made and hands were shaken! The trailer evolved into a location for a site-specific artist residency project which plays off of roadside attractions and reconstructed historical landmarks to place the trailer and its contents in a fictitious history. Psychic Green Trailer was a very special one-day-only exhibition that reinterprets the history of the trailer and collapses time (past, present, and future) as well as nods to Hudson’s storied past. Read more. Everyone’s favorite hydra-headed, multi-disciplinary, rough-and-ready performance series headed upriver to perform in Hudson. 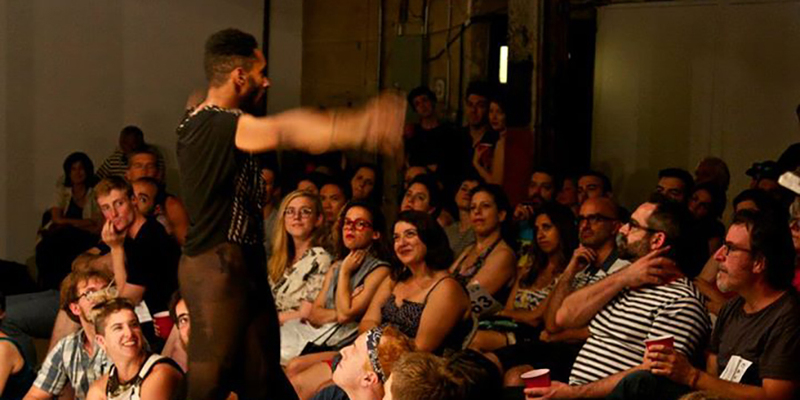 Curated with reckless abandon, the series creates a celebratory communal space for both artists and audience members alike to experience bold new performance works. Each CATCH event is different; ours featured Gelsey Bell, Malik Gaines and Alexandro Segade, Nick Hallett and Luciana Acuna, Jeff Larson, Sondra Loring, R. B. Schlather, Ellen Foster, Jason Martin, Jack Magai, and Hana van der Kolk: The Squares, and Adrienne Truscott in glorious expression. Read more. 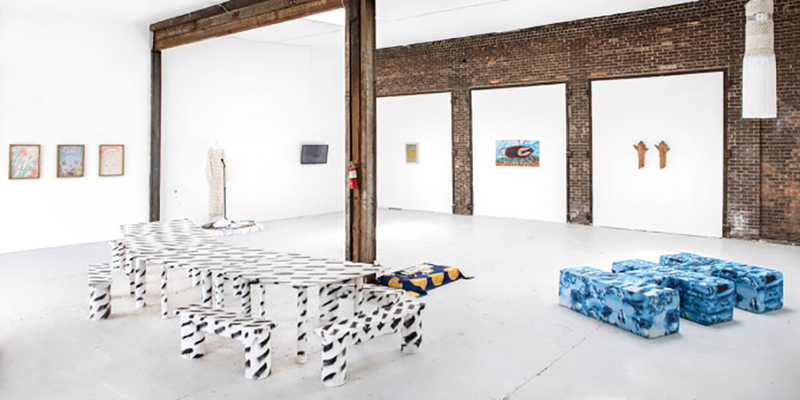 Basilica’s white-box Back Gallery served as the abode for the first iteration of HQTBD (Headquarters To Be Determined), a curatorial project that has since gone on to inhabit and program various spaces in Hudson, NY. Beginning in late May, the program served as a container and framework for an exhibition and a series of events – performances, screenings, talks, and food – dedicated to bringing the community together. 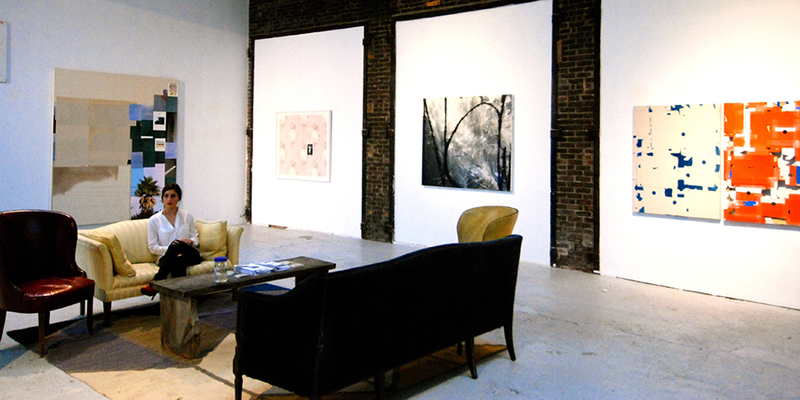 The exhibition, Still/Life featured work by Hudson-area artists including Jeffrey Gibson and Peggy Ahwesh. Read more. 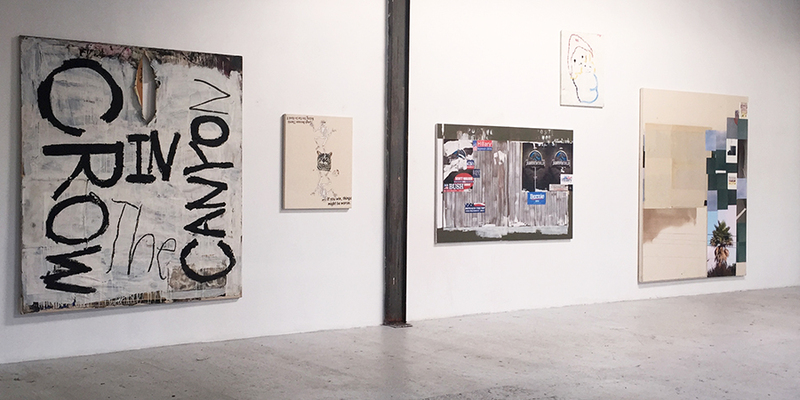 Jack Walls, Dan Colen, Javier Magri, Michael St. John, Carol McCranie, Tyler Moore, HQTBD, CATCH, Daniel Peterson and Alan Danielson. The Now Forever installation shot by Suzanne McClelland. Jack Walls by Jessica Chappe. 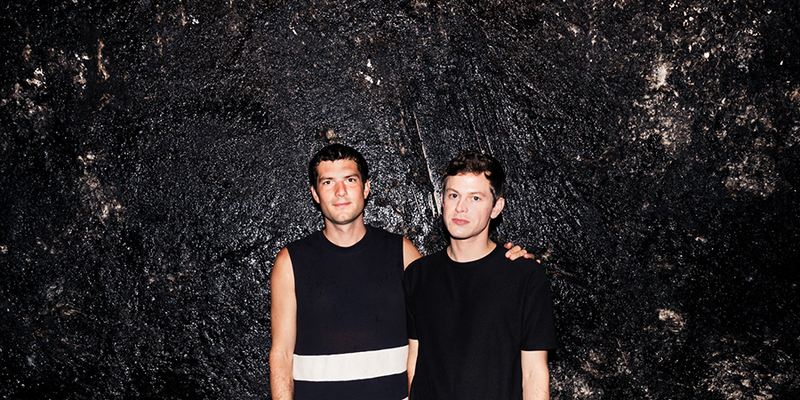 Perfume Genius and guest in front of Dan Colen’s Tar and Feather paintings at Basilica SoundScape by Samantha Marble for Pitchfork. Catch 63 at the Invisible Dog, with performer Niall Jones, photo by Simon Courchel. Psychic Green Trailer courtesy of Alan Danielson and Daniel Peterson. The Now Forever installation shot by Suzanne McClelland. HQTBD installation shot courtesy of HQTBD.